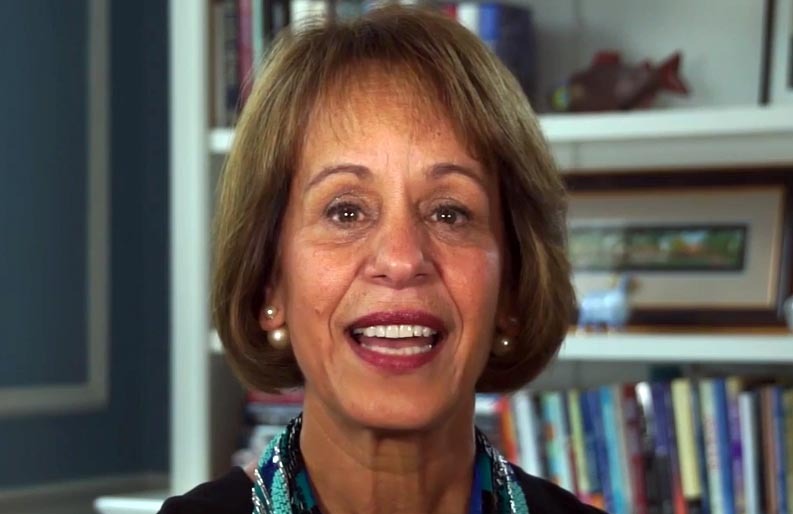 UNC Chapel Hill Chancellor Carol Folt will leave her job at the end of the academic year, and Silent Sam’s pedestal is going with her, she announced to the UNC Board of Governors in an emergency closed session meeting Jan. 14. Folt cited security concerns as the primary reason for the decision to remove the remaining parts of Silent Sam, the campus’ controversial Confederate statue, from McCorkle Place. The pedestal and commemorative tablets will go into storage until their fate is decided. “The presence of the remaining parts of the monument on campus poses a continuing threat both to the personal safety and well-being of our community and to our ability to provide a stable, productive educational environment,” she said in a news release. Crews removed the pedestal and plaques from McCorkle Place early Tuesday morning, WRAL reports. University officials did not disclose immediately where they were stored. UNC BOG Chair Harry Smith said Folt didn’t give warning to the board before making her announcement public. “We are incredibly disappointed at this intentional action. It lacks transparency and it undermines and insults the Board’s goal to operate with class and dignity,” Smith said in a news release. A Jan. 15 media availability with Spellings and incoming interim President Dr. Bill Roper was canceled immediately following Folt’s announcement. 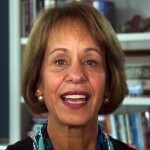 Folt, 68, took her place as chancellor of UNC Chapel Hill in 2013, and has weathered several storms while at the helm of the system’s flagship school. The NCAA academic scandal, which Folt inherited from her predecessor, Holden Thorp, drew criticism from the beginning of her administration. Yet it was Silent Sam, and the protests surrounding it, that signaled the end for Folt. On Aug. 19, protestors toppled the confederate monument while police stood back and watched. The event led to months of debate over whether the statue should return to campus. UNC President Margaret Spellings Oct. 3 said Folt was in no jeopardy of losing her job, despite the fact the chancellor was under fire for her response to the event. “I’m her boss, and she has one of — if not the hardest — job in the system. Period. I don’t think any chancellor would like to have to deal with Silent Sam. It’s very thorny, and safety has to be right at the top of our list of things to consider,” Spellings said. Spellings announced her own resignation Oct. 26. When chancellor raises were doled out in November, Folt was passed over with the explanation that she was eligible for her quadrennial review in March. Dec. 3, Folt presented to the BOT a proposal to place Silent Sam in a $5.3 million historical center to be built in Odum Village. 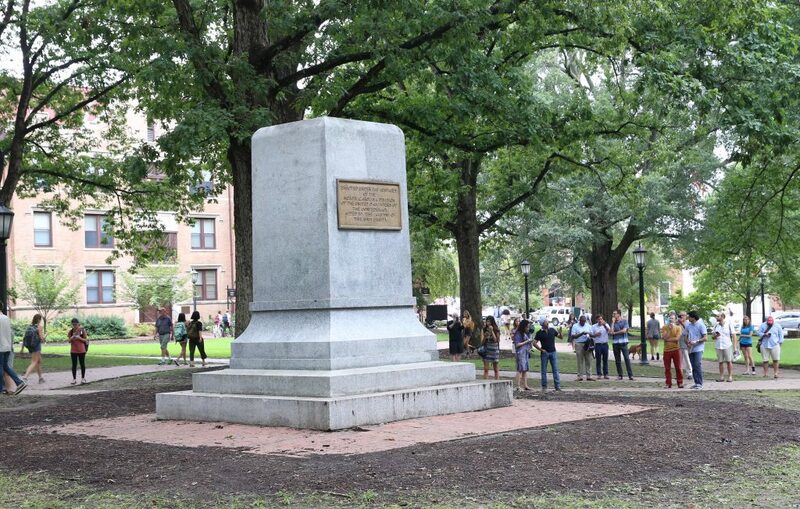 While Folt, UNC trustees, faculty, and students wanted the statue off campus, the law prohibits any historical monument from being removed without express permission from the N.C. Historical Commission and the General Assembly. Folt said the proposal to put Silent Sam in a campus historical center would comply with the law. The BOT approved the proposal, but it was widely criticized by both those who wanted Silent Sam returned to McCorkle Place, and those who didn’t want the statue to return to campus at all. At its Dec. 14 meeting, the UNC BOG rejected the proposal as being too expensive and instead created a five-member task force to help the UNC-Chapel Hill administration devise a new plan for the statue. Despite Folt’s planned departure, Smith said the timeline for determining Silent Sam’s fate remains unchanged. Folt has walked a tightrope trying to satisfy campus constituents while navigating big-picture politics, some say. Editor’s note: This story was updated to report the pedestal’s removal.